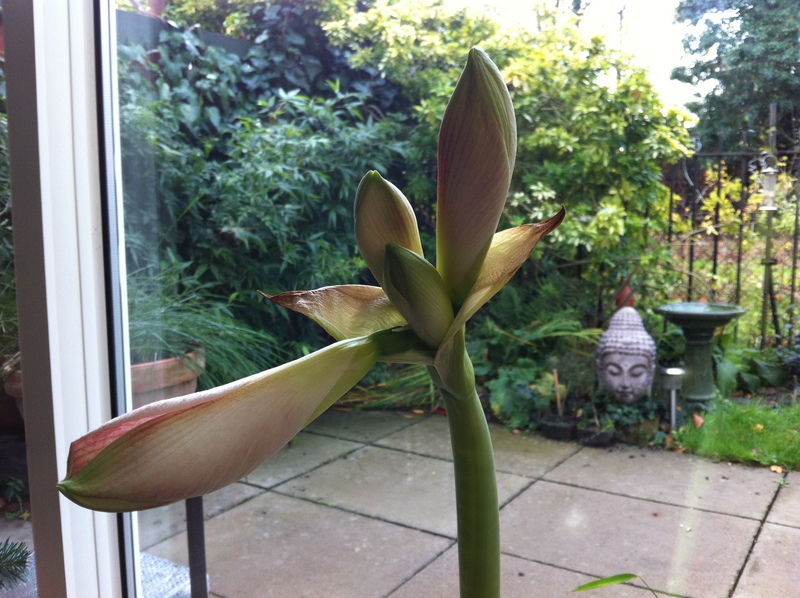 I’m amazed at how quickly the Amaryllis has shot up its first flower spike and how suddenly it burst open to reveal four swelling flower buds, one of which is beginning to already unfurl. I suppose that’s the kind of speed you can go at when you’ve saved a whole summer’s worth of growth and stored it inside a big fat bulb, ready to burn through the whole lot all in the space of a month. At this rate we’ll have all four flowers open before the new year with a second showing in January/February.